Michal Ann Strahilevitz, professor of marketing at Golden Gate University in San Francisco, said she thinks going toe-to-toe with such a giant would be misguided. Launched nearly a decade ago in 2005 (and acquired by Google the next year), YouTube has grown from a site for sharing pointless user-generated clips to the world’s foremost searchable repository of video. Filled with videos that range from raw to insanely commercial, it’s the go-to for anybody looking for moving images or even music. How can smaller players survive and even thrive in the shadow of this video behemoth? The key is differentiation on a variety of fronts, according to indie video producers and upstart services trying to make a name for themselves in a YouTube-dominated world. One such niche video service, DailyBurn, is doing just that — and finding some pretty good success: DailyBurn subscribers have continued to more than double each year since it launched its fitness video service in 2011. As a subscription service, DailyBurn has to do everything better than free sites like YouTube: Provide higher-quality videos and better ease-of-use across a diverse group of viewing platforms, like smartphones and tablets. Grooveshark, the streaming-music service that must compete with YouTube for listeners’ ears, says YouTube’s size actually can work against it. Successful video creator John Z Wetmore said he makes far more ad money per view on YouTube than on other video sites he’s on, like Blip. “I expect to be on YouTube a long time and not have to move my videos again,” he says. 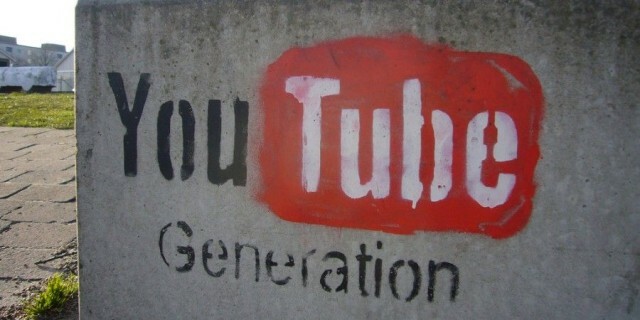 Sure, it’s possible that some unknown technology or service could come along and topple the YouTube giant. Think of MySpace, Napster, IBM and, yes, even Microsoft — each of these companies had what seemed like a lock on the future. But current competitors like Vimeo or Blip wouldn’t be the ones to steal YouTube’s crown, according to digital marketing and social media strategist Brad Hines. Until somebody comes up with game-changing technology, the key to success outside YouTube’s ecosystem is focusing on distinct content categories that YouTube can’t serve with it’s one-approach-fits-all perspective. If you want to be relevant in a YouTube world, you need to find your niche audience and then serve those customers better than anyone else.